Those sweet little flowers that tend to make you smile whenever you see them. It is a wonderful sign of spring when you can plant them. One thing living in the south is that you actually get to plant them twice a year spring and fall. 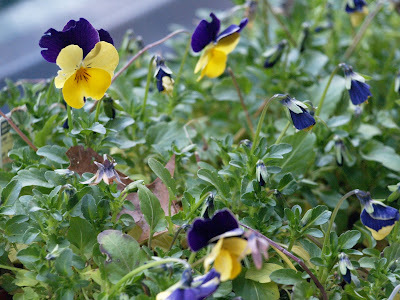 I must admit that we bought this flat of pansies in *cough November cough*, they were protected from the cold/frosts since I placed them by the side of the house.